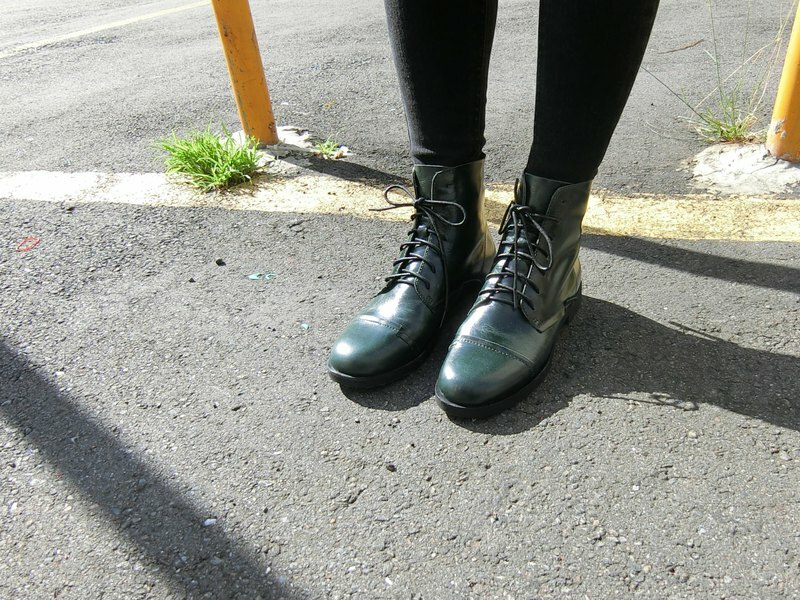 Be sure to prepare in the shoe cabinet Real wear one hundred percent flat boots Back zipper for quick and easy access Tactile butter skin Calm dark green Show a unique texture with the wear time I will fall in love with the flat boots that are easy to walk. Paired with autumn and winter clothes, great points Come with you daily commute shopping Best comrades in winter travel \\Drawing shoes limited edition released out of print \\ \\ fabric top layer cowhide \\Neri fascia \\foot toe layer cowhide \\The heel is about 2.5 cm high \\ version of the normal thick socks or instep high recommended to choose the number one ______________________________________ Size inventory updated daily Please write to us for size stock Provide actual foot length and width to give you more correct size recommendations !!!! New shoes a week ago, please take a short time to wear, such as wearing a bean flower or walking indoors to wait for the body temperature to soften the leather and then wear it out to scare !When the leather meets the water, please remember to dry it naturally, such as blowing a fan or placing a cool and ventilated place to avoid sun exposure or hot air blowing. Remind that footwear products should be worn regularly. If left standing for a long time, it may accelerate the oxidation of the adhesive and cause the bottom to fall off. The more natural the leather is, the smaller it is. ! If the upper leather has uneven color, we like the distressed retro effect. It is normal for the master to manually wipe the color. =========================================== The shoes are all designed by myself. Comfortable and breathable leather inside and out Each series adheres to a very small amount (ten to twenty pairs) Don't worry about hitting shoes everywhere I really recommend it to you who love you differently. Because each shoe version is different Size is also slightly different Please write to us first. We will also give size recommendations for your foot type.